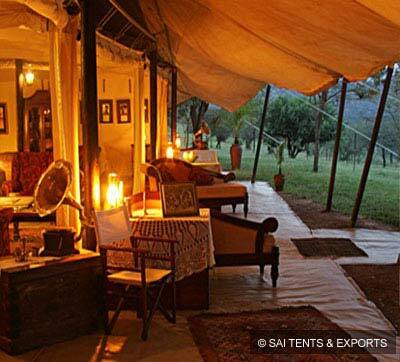 We have with us rich experience and expertise in successfully handling the emerging market demands of exclusively designed and developed Maharaja Tents. 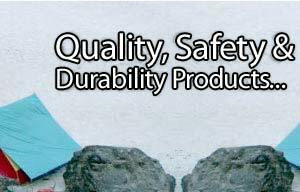 These are made available in rectangular shapes and are designed to provide that perfect feel of luxury while on outdoor trips. 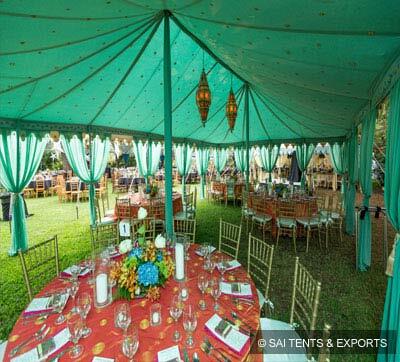 We provide these richly designed tents with high class sitting arrangement, suiting the demand of the occasion. 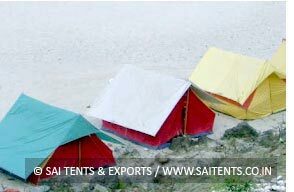 Further, these tents are also provided with doors and window options as well as ventilation provision as desired by the customers. 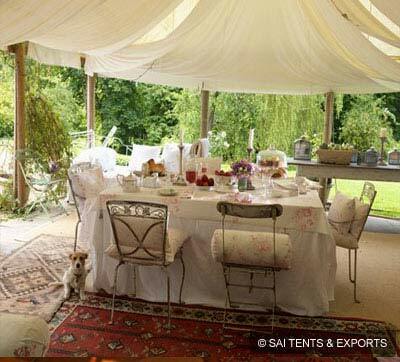 These luxury tents come with associated accessories like canvas side walls, poles, pegs and ropes, ensuring a perfect tented setting is achieved with least possible efforts, thus making these tents best for occasions like parties and weddings. 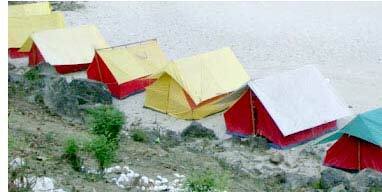 With all tents made by hand, we hold expertise in perfectly utilizing traditional methods to create these tents. 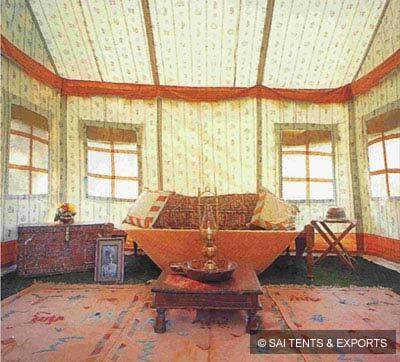 The use of natural cotton in designing interiors and innovative block prints in selected colors and designs also add life to the interiors, making the ambiance truly spectacular. 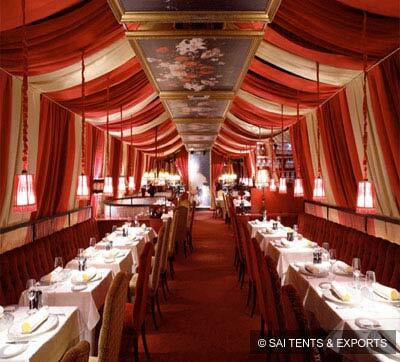 Here, we can also custom make the tent designs from outside as well as in providing specific finish to the interiors as desired by the customers. 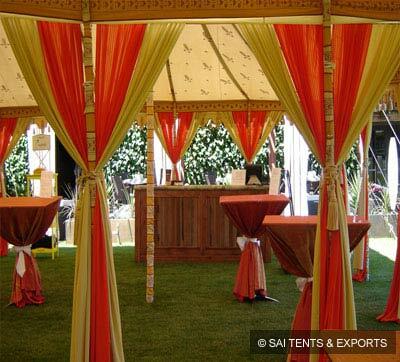 For completing the exotic setting, we offer these tents with matching accessories and furnishing options.